The impressive design feature of the theme is an outstanding style absorbed in black and bright red with characteristic metallic reflux. 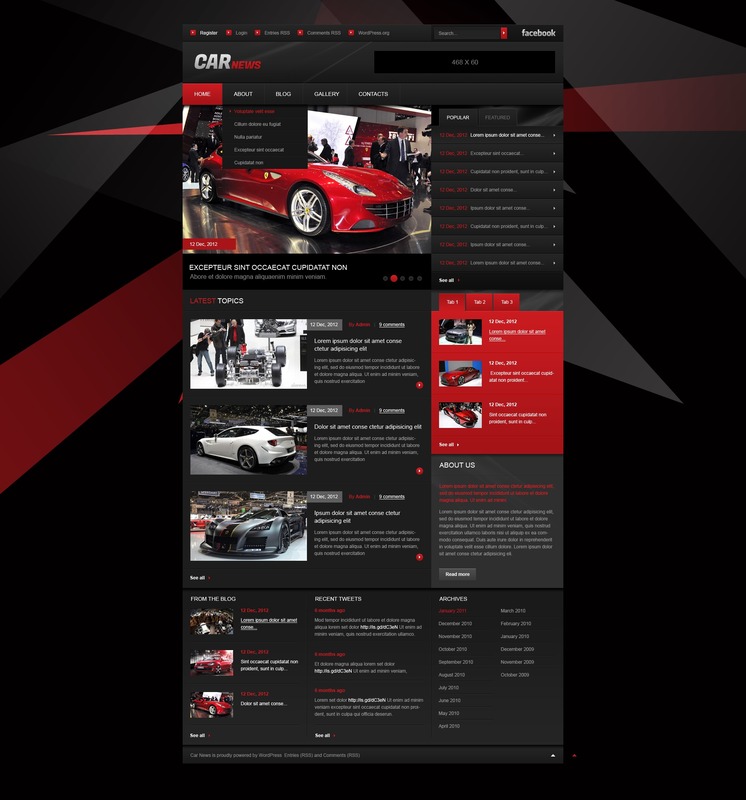 The template offers the options for registration, an easy search, Facebook following Ã¢â‚¬â€œ everything for your clients to be in stronger touch with you and enjoy useful info about cars from an ample content area. I am assuming that the Documentation Folder was meant to be included (attached) in the ZIP file. It was not, so where can it be found?